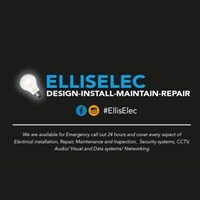 EllisElec Ltd - Electrician based in Heywood, Lancashire. General Electrical services. All aspects covered including alarms and security.